Described by one Wildlife photographer as "an inveterate thief of birds nests" , its presence will certainly get birds into flight or fight mode, the latter mostly from Lapwings and Thick Knees. This one I found in the magical Rietvlei Nature Reserve, the largest Nature Reserve in an urban setting in the world. 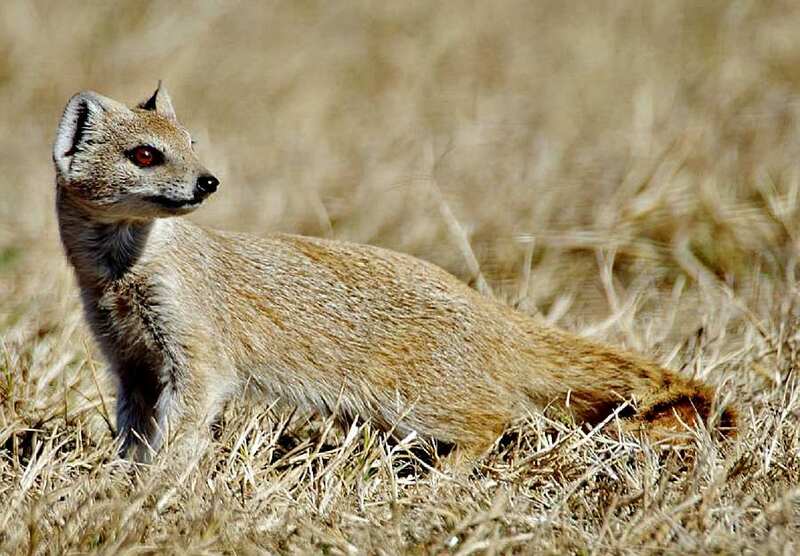 TagsYellow Mongoose, Wildlife, Rietvlei Nature Reserve.